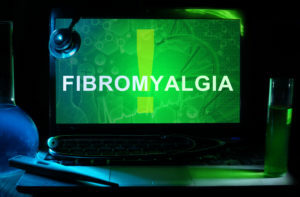 Fibromyalgia is a common condition suffered by millions of Americans (somewhere between 1.2 and 5.4 percent of the population). The chronic disease leads to pain that can be severe and debilitating, drastically decreasing the quality of life of the victim. Women suffer from the condition at higher rates than men, but it is common in both. What causes the condition is not yet fully understood. There have been many studies investigating the condition, and some relationships with impaired hormone function, increased inflammation, altered neurotransmitters and oxidative stress have been discovered. Olive oil is a natural antioxidant that has been proven to help decrease oxidative stress in a number of studies. Previous research had shown other antioxidant-rich foods and supplements have helped to decrease pain experienced by those suffering from fibromyalgia, so this study focused on olive oil, in particular, a food that is a staple of Mediterranean region diets. 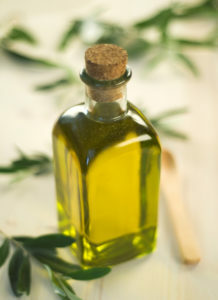 This was the first-ever study conducted on olive oil effects on fibromyalgia. Participants took part in a three-week randomized, controlled trial. Participants were instructed to complete a number of 24-hour food recalls. There were two groups: an extra virgin olive oil group, and a refined olive oil group, each of which consumed 50 milliliters per day of their assigned oil. The results showed the group consuming extra virgin olive oil had significantly reduced oxidative stress markers by the end of the period, as well as a greater reduction in protein carbonyl levels and decreased lipid peroxidation levels. The group consuming refined olive oil did not have any of these effects. There were also significant changes in health-related parameters for the extra virgin olive oil group, which were not present for the refined olive oil group. Once again, the benefits of extra virgin olive oil are on full display. When you purchase a bottle of My Olive Tree’s extra virgin olive oil, you are also supporting humanitarian aid projects in Israel and the Middle East.